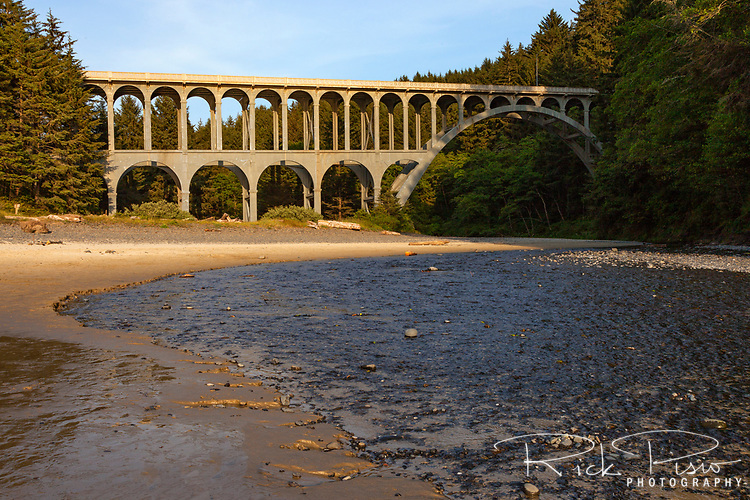 The Cape Creek Bridge carries US 101 over Cape Creek in Lane County, Oregon, United States. Opened in 1932 the bridge resembles a Roman aqueduct with a single parabolic arch that spans half its length. It was designed by noted bridge engineer Conde McCullough and built of reinforced concrete by John K. Holt.